"Looking at your leadership team—what are the things that motivate each individual and how do you structure a compensation program that unlocks that?" Organizations create and sustain their competitive advantage by offering a distinctive value proposition to both their customers and investors. That value proposition manifests itself in various ways—products and services, the brand, operational efficiencies, and so on. My responsibility is to craft unique compensation structures, within the context of effective corporate governance, that guarantee your organization’s people strategy will be a competitive advantage. I do this by partnering with you to dive deep and think creatively. Aalap Shah is a managing director in the New York office of Pearl Meyer. With more than 15 years of experience, Mr. Shah advises public and privately-held companies on executive compensation issues, with focus on pay governance, pay-for-performance alignment, and incentive plan design. Of particular interest is the intersection between business strategy, people strategy, and compensation strategy; believing alignment of all three is required to design effective programs. Mr. Shah advises clients in a variety of industries, including high-tech, healthcare, financial services, consumer products, retail, manufacturing, real estate, and media. He also consults on special compensation programs for IPO and merger & acquisition transactions. 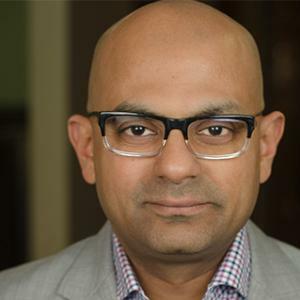 Prior to joining Pearl Meyer in 2006, Mr. Shah was with Mercer Human Resource Consulting, where he specialized in executive remuneration advisory services. Mr. Shah holds a Bachelor of Science degree in Industrial and Labor Relations with a concentration in International Human Resource Management from the School of Industrial and Labor Relations at Cornell University. What questions should the board ask of management in order to ensure culture and strategy aren’t at odds? Boards can help management develop processes that align activities and choices with the corporate mission and values. Reward systems can be tailored to support culture, leadership development, and business strategy. One role of the board is to help encourage a culture of innovation and diverse thinking across the organization. Pay program design works best when it is tailored to a company’s sector. We offer data and analysis on the key characteristics in mid-sized software. Effective succession planning is more than just naming a new CEO; here’s how boards can help foster long-term leadership development. Data highlights the potential exposure companies have to negative votes from proxy advisors. Strategic shareholder outreach can be the antidote.